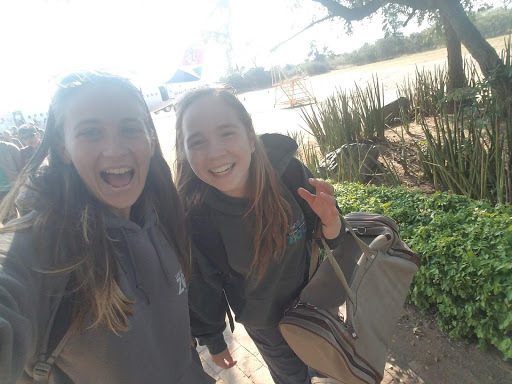 Lehigh Valley Zoo Animal Care Department – This last summer, I, and a fellow co-worker, were blessed with the opportunity to travel to South Africa to do volunteer work at a rehabilitation center there. 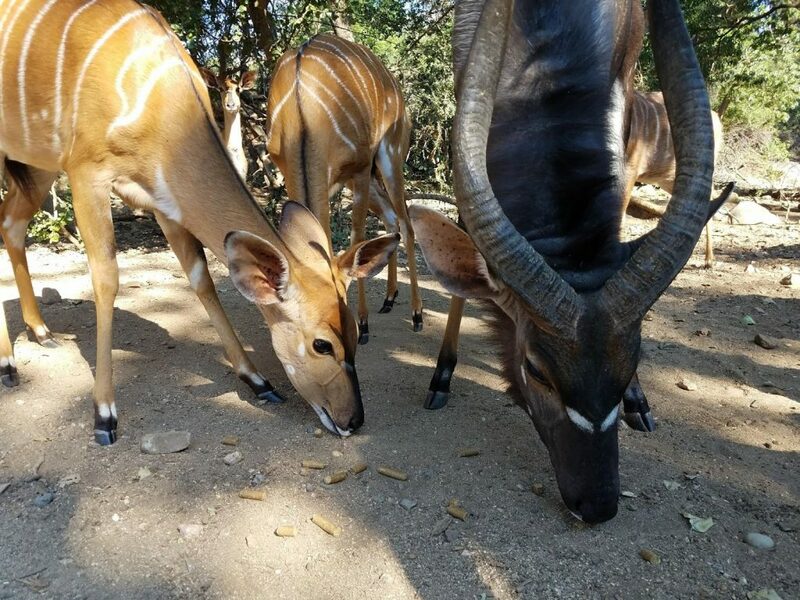 Moholoholo Wildlife Rehabilitation Centre is located in Hoedspruit, South Africa was established in 1991 and is run by an incredible man, Brian Jones. He was well known in the surrounding community for all the wildlife work he had done, and already had a rehabilitated Crowned Eagle in his possession, what a perfect way to begin! He, and his staff, have been rescuing and dealing with “problem animals” ever since then. Listening to him for close to two weeks, was inspiring to say the least. Upon arriving, Brian mentioned he wanted to sit down with all the new volunteers. Many of the other volunteers snickered and rolled their eyes, suggesting it was a very boring talk and that we would most likely be put to sleep by his droning on. His small speech inspired, challenged, and awed me. His passion for saving animals and teaching everyone and anyone was like an aura around him. You could hear it in his voice, see it in his eyes, feel it with your heart. And it made me want to be everything this man was and more. We stayed awake and alert the whole ~1 and a half hours he talked to us. I can’t say the same for the other volunteers with us. The biggest problem he, and his rehab, faces is the community seeing these beautiful wild animals as nuisances and things that need to be killed in order to protect their crops (aka – they’re only source of possible income). His team is constantly pouring into the surrounding communities and teaching young and old, how to respect wildlife and how to understand them, to understand that these animal are also hungry and searching for food. They do not know what they are trampling or eating is precious crops or livestock. They’re looking after themselves, just as we would. 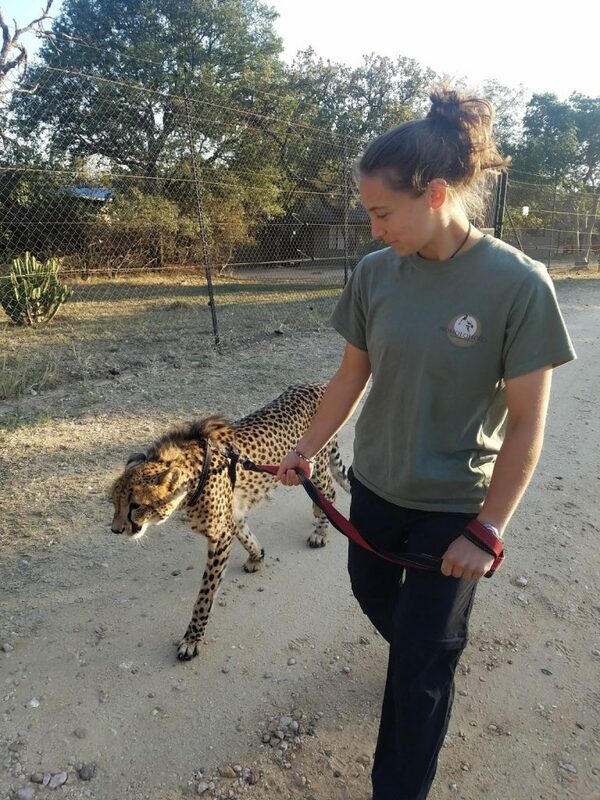 Martial, one of the cheetah trainers at Moholoholo, has been raising ambassador cheetahs for the soul purpose of education. Just like our zoos, they go on outreaches, to schools and towns, as well as offer encounter programs to the schools and guests that visit daily, to educate everyone they can. And because of this mission, they’ve seen a miraculous turn around in their community. Families have begun safely trapping and immediately calling Brian instead of resorting to shooting or poisoning. Many lives have been saved and relocated because of his persistence in changing the perspective of the community. I wanted to bring that mission home. I was very fired up (in a “let’s change the world” kind of way) after that, and wanted to learn all I could about every animal that was in their care and how I can use that knowledge to educate those around me. The staff there were all very knowledgeable about the species that they had at the rehab, and they were always asking us questions to challenge and teach us. I, along with another volunteer, were tasked with the “Group 4” routine. 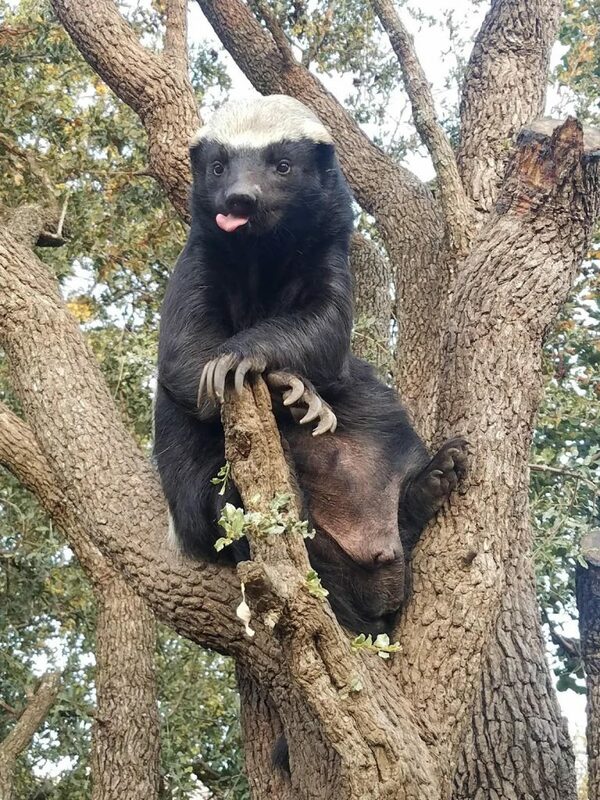 The main animals we were able to take care of were their 6 honey badgers (one of which was the famous Stoffel, he’s known as their “Houdini” since he has escaped multiple times (please watch the video, it’s amazing), a few of their owls, and their vultures. All of the animals that they have at the rehab are either currently going through the rehabilitation process, or have long term injuries that have deemed them unfit for release. Unfortunately, a lot of their younger animals have been brought to them because they were taken out of the wild by humans. A lot of species will leave their young in a safe place while the mother goes off to eat and find food. For most, this young animals appears to be abandoned, and so they pick it up and “abduct” it and bring it to the rehab because they think it needs help. It’s the exact opposite. That young one was well taken cared for and now that, at such a young age, it was taken out of the wild and put into human care, it is incredibly difficult to mimic what that young one would be learning out in the wild and now must be hand-raised by humans. Because of this, it will not be able to be released because it will not have the proper instincts to survive. It was very real realization that some of the animals we have at the zoo, are in the same situation, so it was interesting to hear how they explained that to the public who asked why every animal could not be released. This whole trip, while broadening my understanding and knowledge of wild animals, really helped me see how important education and teaching is in our field. We, as our group, would prep our animals diets in the morning, walk through the rehab and distribute those diets, while doing daily visual checks on all of those in our care. Once we were all done with our individual routines, we would regroup for lunch and then move on to feed the big cats throughout the property. I can’t begin to describe what a blessing it was to be able to be a part of these animals lives and to hear their stories. Brian, was actually very willing to teach us all that he could, since he knew we were zookeepers. All of us were able to observe any medical procedure they had to do, as well as the darting of vaccines for two of their lions. A few of their vultures had “bumblefoot”, which we will see in some of our birds throughout certain seasons; seeing how they treated it, being able to ask them questions about their procedure, as well as offering some advice, was a unique learning experience. I could honestly go on and on about this experience and how I would do it again in a heartbeat, but you would all be very bored! If there’s something that I would love for you to have as a take away from this long-winded story, is to fully understand the animals and where they come from. If you see young wildlife, please consider the circumstances, and don’t interfere. Learn about the common species within your area, and how to protect them. Support your local zoos and their conservation efforts, because this is how we save the species in our own communities. The more we all learn, and the more we can spread that knowledge, the more people can have a better understanding and respect for these species. We don’t have to travel to Africa to make a difference! That’s all I got for now folks, I hope my experience can inspire you and spark a love for conservation in your hearts!